A small edition of 5 prints. 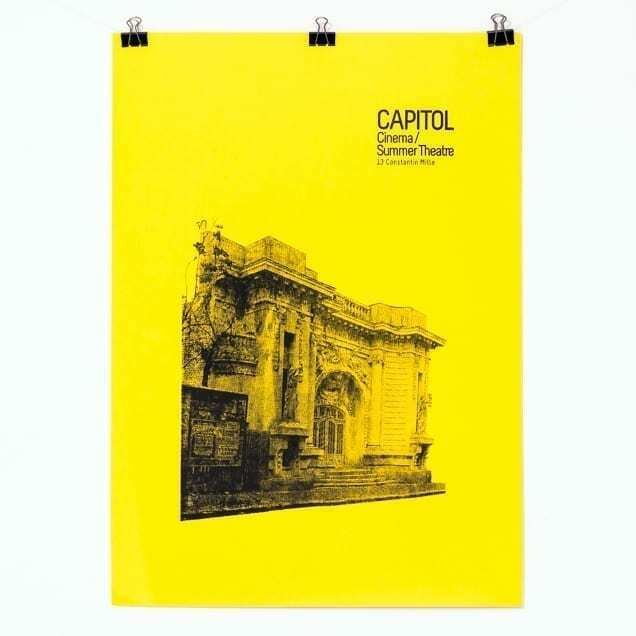 Situated downtown Bucharest, the ensemble of historical monuments CAPITOL Cinema (LMI B-II-m-B-18683), opened as Cinema Clasic, and CAPITOL Summer Theatre (LMI B-II-m-B-19202), initially named Alhambra, occupies the plot of land between 36 Elisabeta Bd. and 13 C-tin Mille St. In 2017-2018, Save or Cancel proposes a cultural heritage awareness and sensitization campaign, with an application on Capitol Cinema / Theatre Summer, revealing the economic, social and educational potential of all abandoned cultural spaces in Romania, and the involvement of artists and the local community in trans-sectorial, multi-disciplinary, collaborative projects.